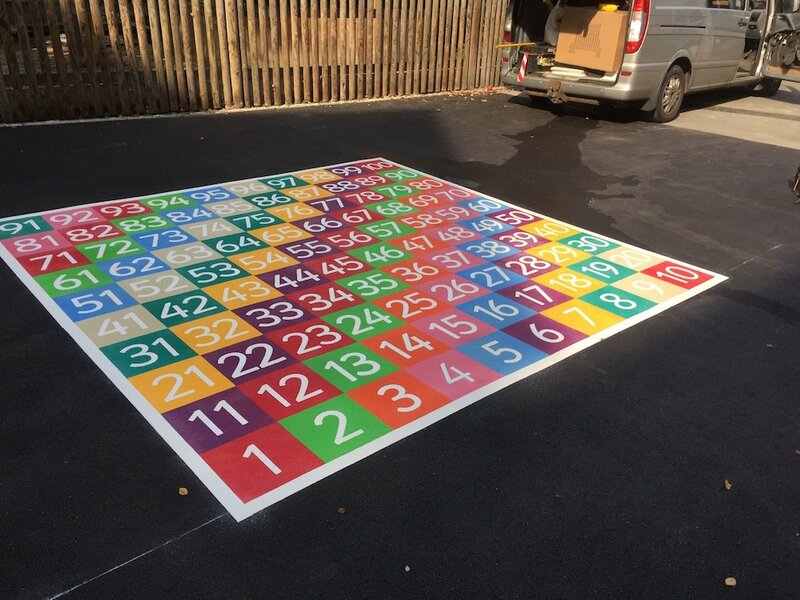 Last week first4playgrounds completed an installation of Playground Markings at a Welburn Hall Special School in North Yorkshire. 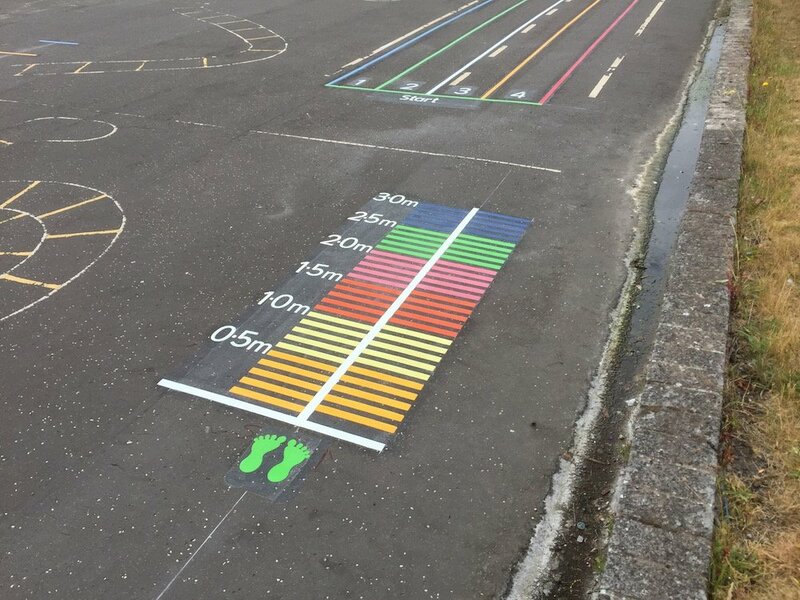 The markings were installed on recently replaced tarmac play area which included a 1-25 Crocodile, a Rocket Hopscotch and What’s the Time Mr Wolf game. 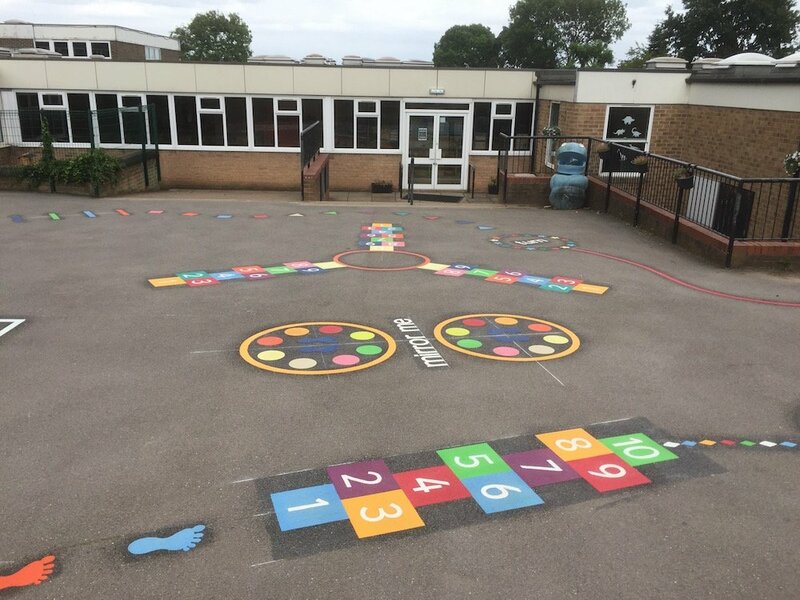 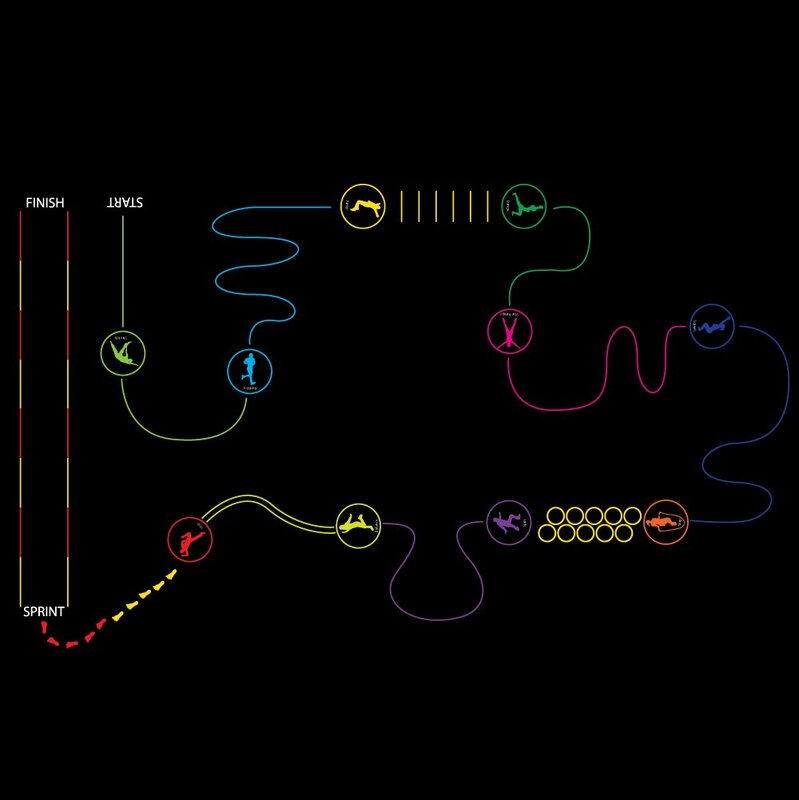 We also provided an a-z Snake from a classroom door to the playground as well as a sunflower hopscotch and rainbow in the sensory garden area. 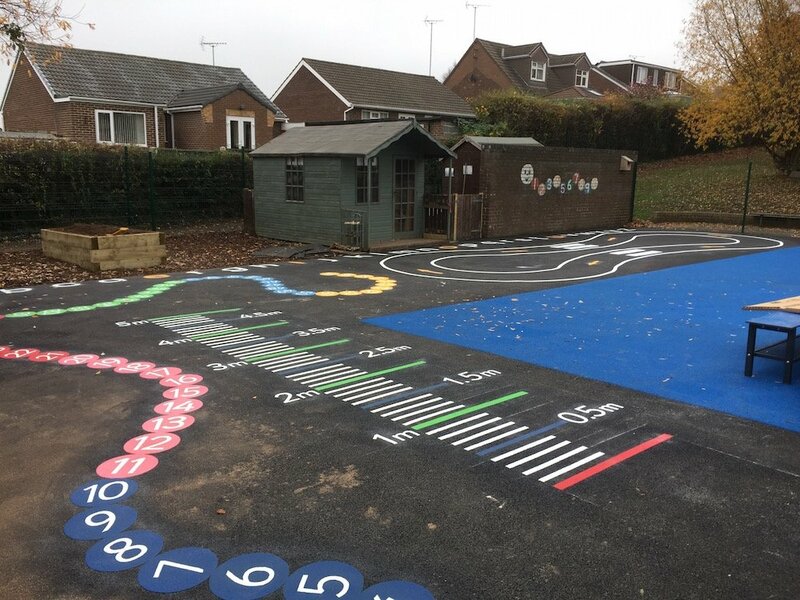 During the installation the children were excited and enthralled with the new additions to their playground areas. 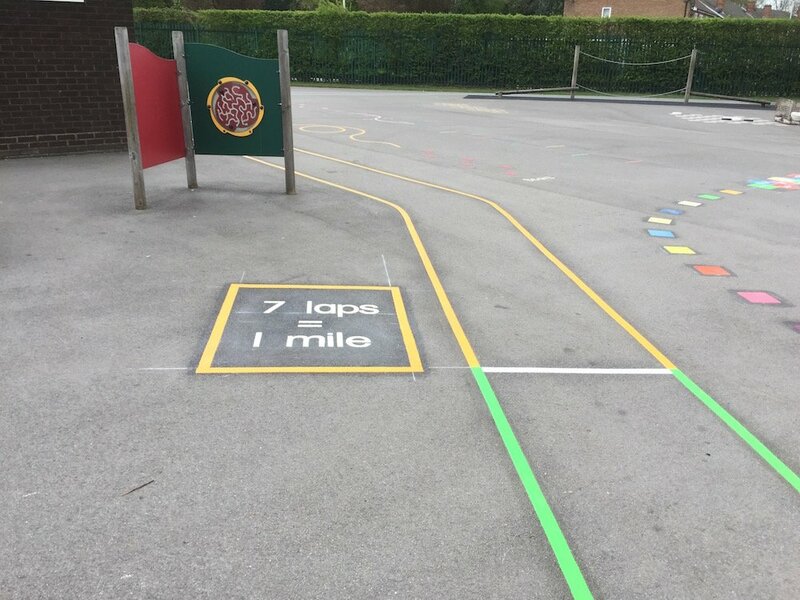 They were a polite, happy group of children who provided our workmen with a continuous supply of cups of tea and cakes throughout the job. 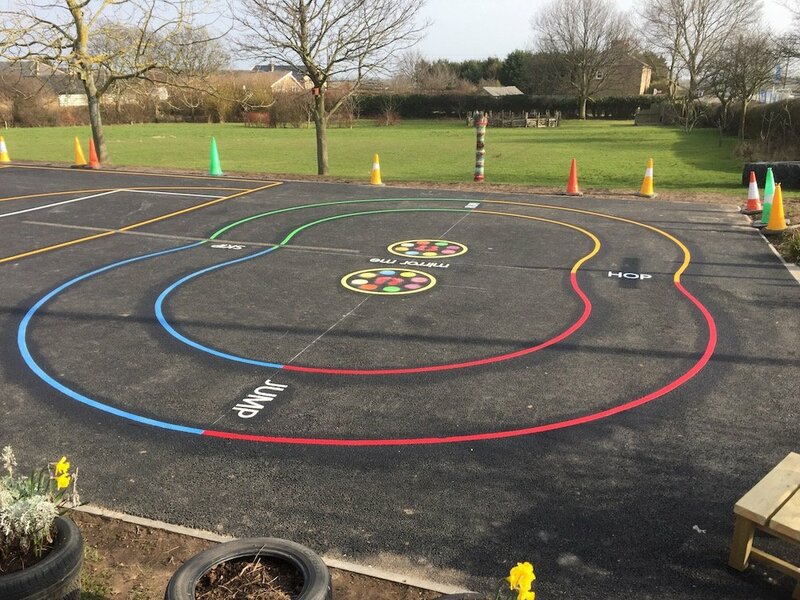 “Many thanks for the professional, efficient and speedy way that you​ and your team carried out the playground markings here at Welburn Hall School. 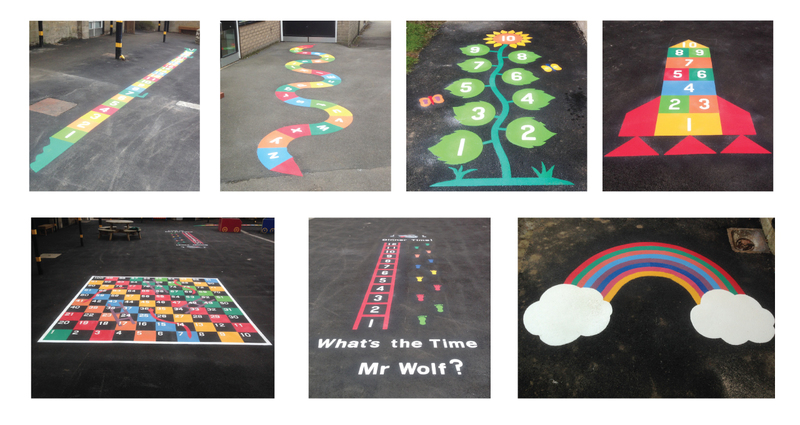 The pupils are really pleased with the end result and could not wait to play on them. 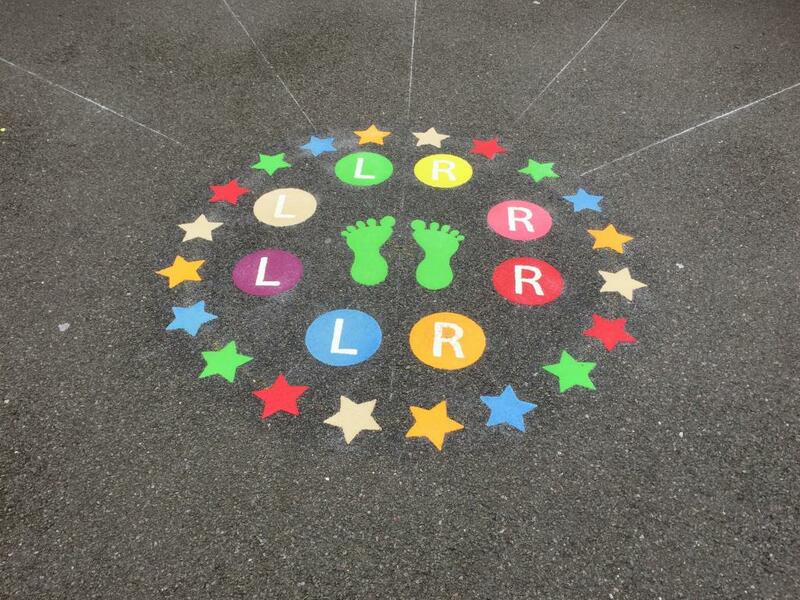 Every time I come past the playground all of the games are in use and the children are having great fun.